﻿ To eat or not to eat: What differentiates a good restaurant from an average? Make sure your restaurant smells fresh by equipping the kitchen with proper chimneys and exhaust fans. Some people would understandably say that it is the quality of food that makes a restaurant good or average. Food may be a crowd puller, but if the surroundings and premises of a restaurant are not clean and hygienic, then no matter how good the food you serve, customers will just not turn up. Cleanliness is not limited to the premises alone, but the discerning customer is bound to notice the tableware as well. Many customers form an impression about a restaurant when they are waiting for the food to arrive. They will definitely notice if the glasses are greasy or finger marked or if the plates are cracked or chipped. If you want customers to come back, make sure your cutlery is in good condition. If there are flies in your restaurant or even a single cockroach under the table, it means there could be rodents in your storeroom. Take adequate measures to prevent the entry of birds, insects and rodents into your premises and place automatic door closures in your restaurant to prevent infestation. Have you ensured cleanliness in all aspects? In compliance to The Food Safety and Standards Act (2006), there are certain regulations that restaurants must follow in order to ensure the premises, surroundings and utensils are clean – Do you have posters in your kitchen that educate staff about the procedures to be used for cleaning utensils and for personal hygiene? Have you provided them with the hand washing material and appropriate cleaning material and hot water for utensils and cutlery? Customers will definitely know how well a restaurant is following these regulations when they visit the restroom. The bathroom immediately reveals how well the hygiene factor is maintained. If the bathroom is clean and ordourless, then you can be rest assured that the kitchen – where the food is being prepared, will also be clean. Customers also notice the décor, ambience and the seating arrangements. If the tables are too crowded, it probably means the premises are not easy to clean. A restaurant that is stuffy, smoky, reeking of stale air and food odour indicates poor ventilation. Make sure your restaurant smells fresh by equipping the kitchen with proper chimneys and exhaust fans. The serving staff can make the eating experience a happy or a sad for any customer as they are the main point of contact. If they are well trained, look healthy and are fit and following all personal hygiene norms, it means the restaurant owner is keen to follow regulations. On the other hand, if the waiters’ turnout is crumpled and dirty, it will be noticed and disliked by customers. Consciously or unconsciously they will look for others signs like whether the waiters are coughing or sneezing, smoking or chewing tobacco or paan when handling food. Make sure that you have trained your serving staff in such a way that they do not touch their nose, mouth, hair, ears or other body parts. Get them medically examined to ensure that they are not spreading any contagious disease, and ensure that they are wearing gloves while serving food. Inadvertently, customers also notice the kitchen when the door swings open to allow waiters to come in and out. They are sure to notice whether those who are preparing the food are wearing caps and aprons or not. Is their hair cut and nails neatly clipped? Customers may not visit your storeroom, but a food inspector might do so to check whether you have made provisions to store raw materials and finished products at appropriate temperature and have segregated food according to various categories. It has now become the norm in most upscale restaurants to display in its premises the medium in which the food has been cooked. 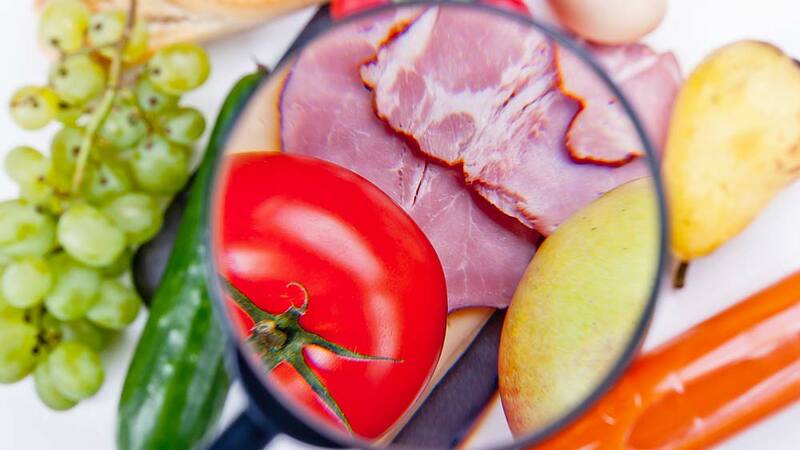 This helps health conscious or allergic customers to make informed choices about the food they place on their plate. A good restaurant will also display a list of cooked or prepared foods on the notice board for the convenience of its customers. Before you serve any food in your restaurant, make sure it has been reheated to the recommended internal temperatures of 74°C. In case you prepare food early, serve it within four hours after preparation. As a good restaurant owner, who likes to make sure that the food served is safe for the consumer, get the food items tested every six months for chemical and/or microbiological contamination from staff or NABL accreditation from FSSAI notified lab. This means that you should also have a water analysis report from a recognised lab. If you regularly inspect food articles for quality and compliance, and buy food only from the licensed vendors, then you are one of those restaurant owners who care for the safety of its consumers and also for regulatory norms. Just to ensure you are always within parameters, make sure you are carrying out self inspection from time to time. The author is the Founder of Food Safety Helpline.com and has developed an application called Food Safety Mobile App for the convenience of food business operators and hoteliers across India to get the latest updates, notifications in compliance with FSSAI act. Also he writes regularly on topics such as Food Safety and Hygiene, Food Testing, food adulteration and contamination etc. Food players eyeing bigger pie of Indian market..